Cooking in the backyard has become very popular. Outdoors backyard kitchens can have anything from a large built in grill to a refrigerator. They are also equipped with side burners and gas fired space heaters. 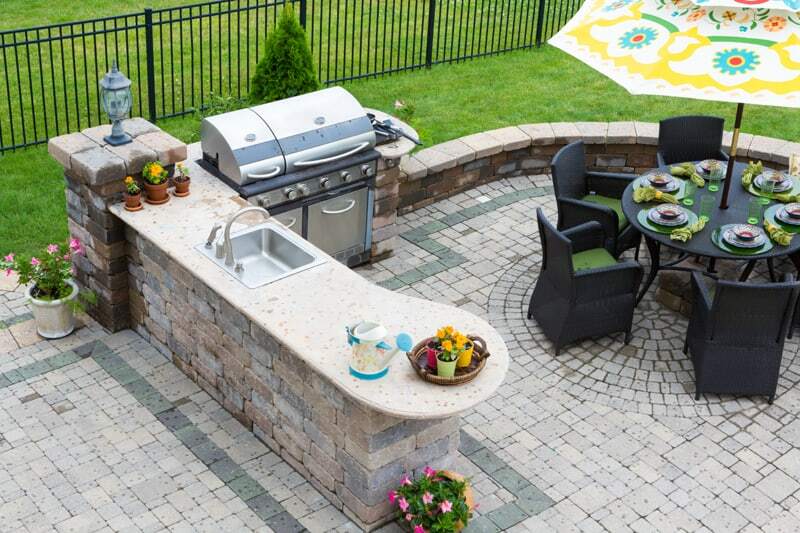 If you want to add an outdoor kitchen to your property you need to choose the right area for it. If you want privacy from your neighbors, add some shrubbery, trees or hedges to give you that added privacy from the view of others that live around you. The location of your kitchen plays a large part in your outdoor cooking pleasure. You may want to have your outdoor kitchen near your indoor kitchen, which will prevent you from taking long trips to the house when you need to. You can add a sink to your backyard kitchen to make cooking outside much easier. 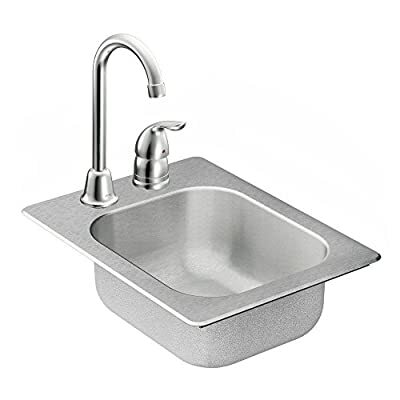 The above stainless steel sink is perfect for any outdoor kitchen and can be found at Amazon. Add a nice cooker/smoker and enjoy some delicious meals cooked outdoors. Be sure to design a kitchen that will be comfortable for you, your family and friends. You will need electricity for your refrigerator and lighting. You will need space to prepare your meals, so make sure to include a counter-top. When looking for the right counter choose something that is very easy to clean. In order to stand in the various seasons, your outdoor counters need to be water proof. You can also purchase wood that will not rot for your counter and counter tops. Some have found the stainless steel to not only look sleek and modern, but it last longer as well. Outdoor fireplaces and firepits are becoming very popular. You and your guest can sit around the fireplace and cook. The firepit allows you to cook with a rotisserie, skewers or the grill over an open flame. You can also invest in an outdoor oven. 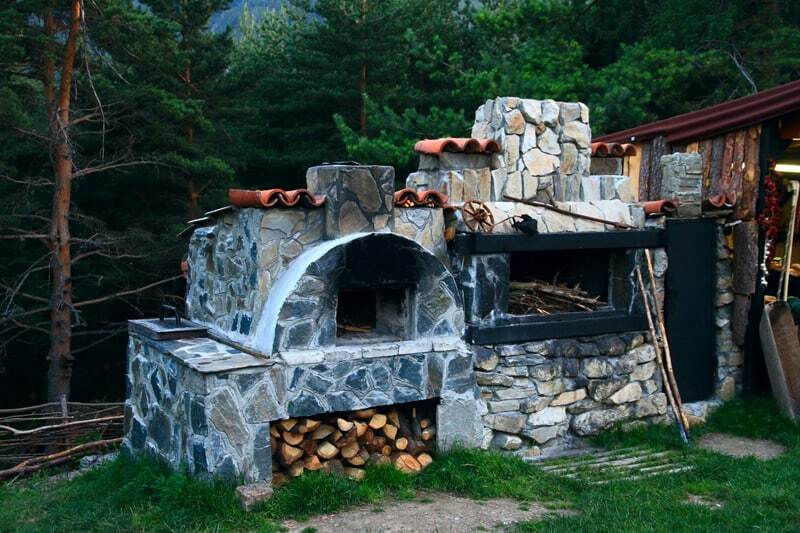 The oven can be a brick or stone pizza oven. You will also need to consider the keeping the kitchen as a whole protected from the elements. You do this by adding shelter over the outdoor kitchen area. 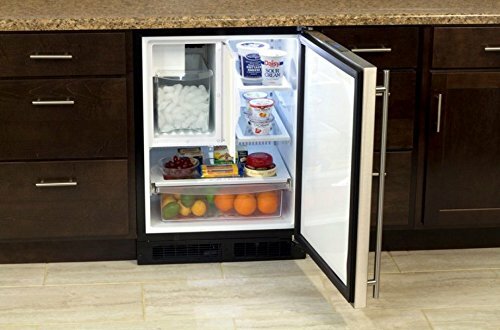 The perfect way to have a refrigerator for your backyard kitchen is be to invest in an under the counter refrigerator. This way you can have everything you need for your cookouts, right at your fingertips. Ensure that there are enough electrical outlets to plug in the electric appliances, the heaters and the lights. Situate a seating or lounging area where your guest can relax. Here’s a nice one from Amazon (pictured below). Another great addition to your backyard kitchen would be an outdoor television. This is great for everyday entertainment. You can add a custom built in island, you can have your grills built in and portable. You can have a fire pit or fireplace custom built for your personal needs. Your kitchen can be eco-friendly to help save our earth. Along with your appliances you will also need the cooking area that is centered on the grill and counter. This will make it easier to prepare meals.